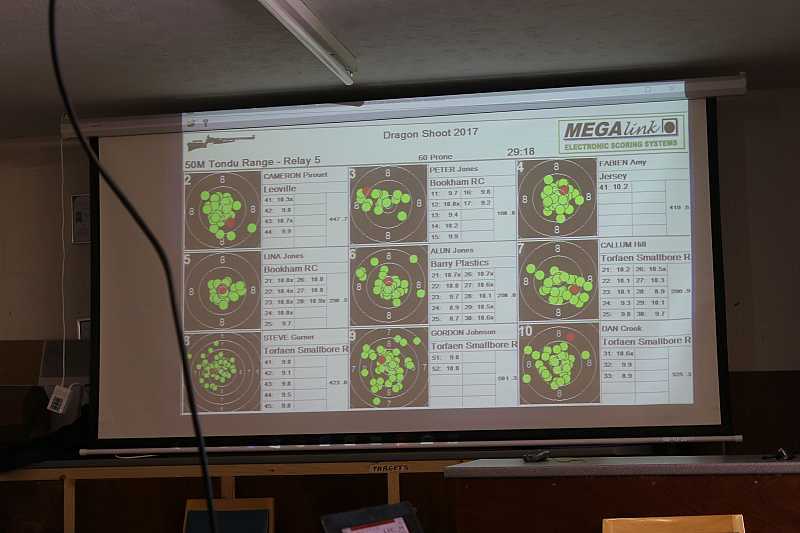 Dragon shoot using our electronic targets. 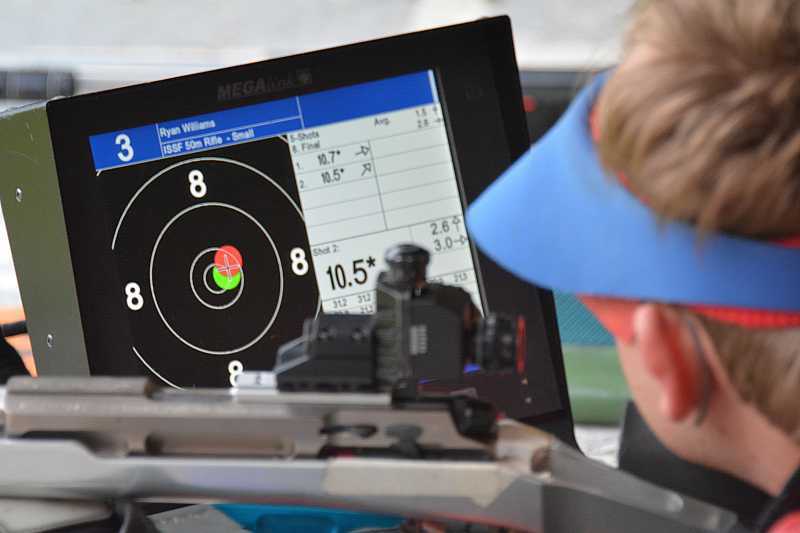 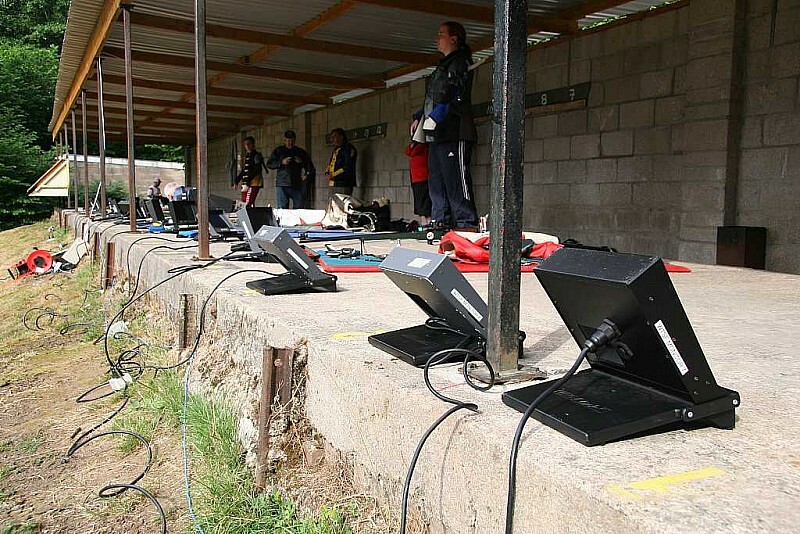 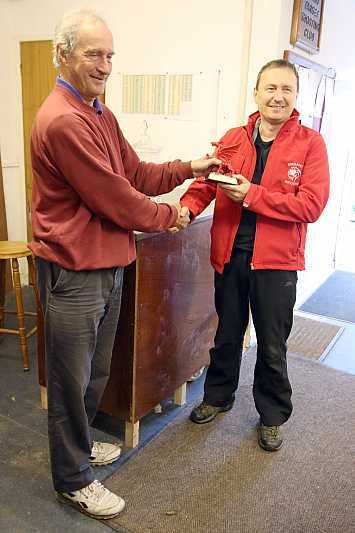 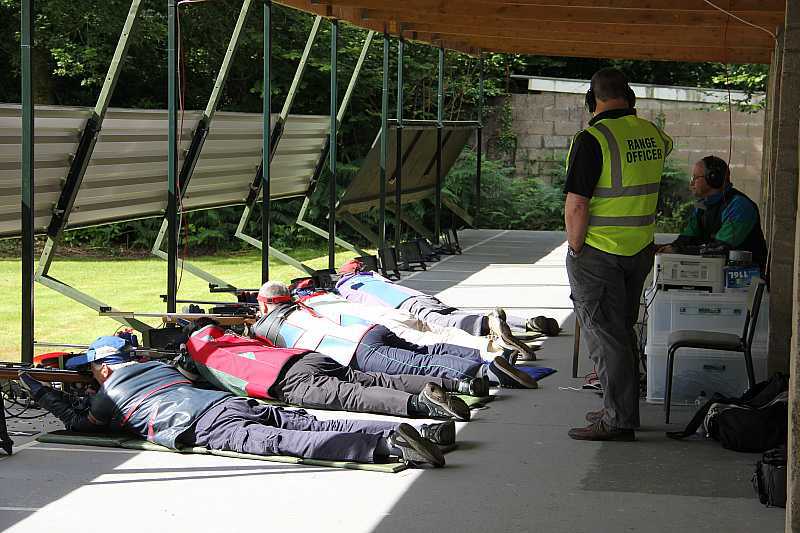 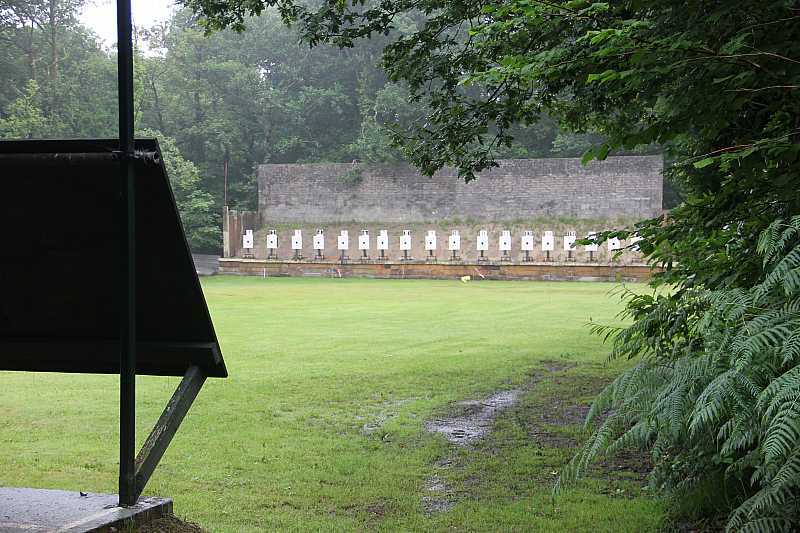 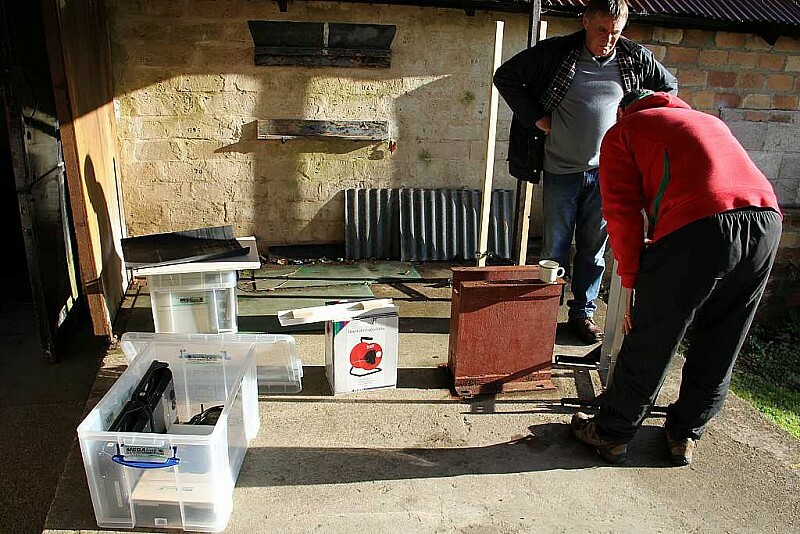 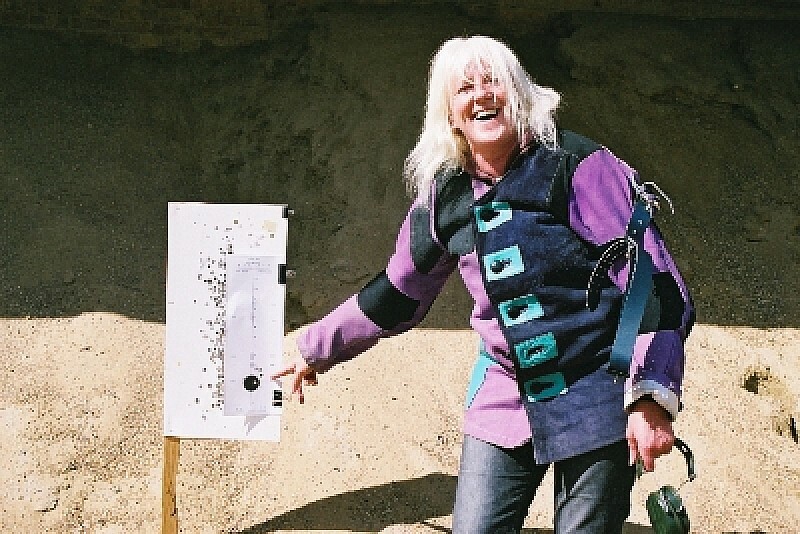 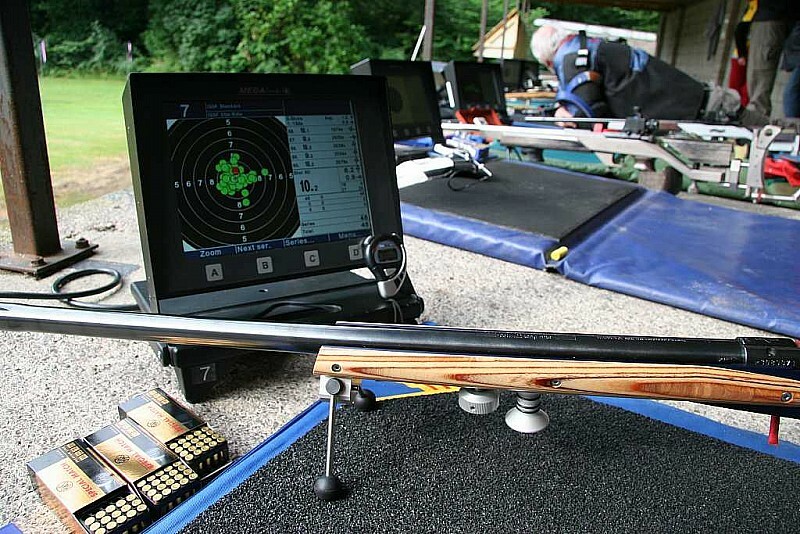 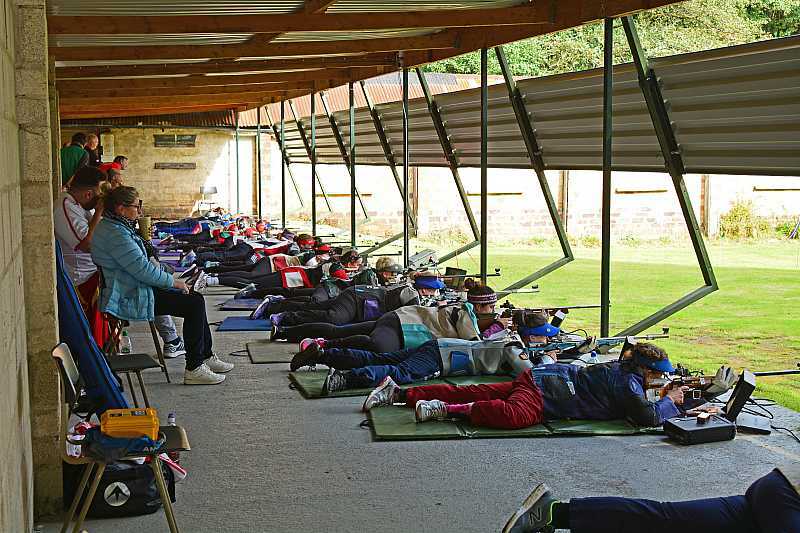 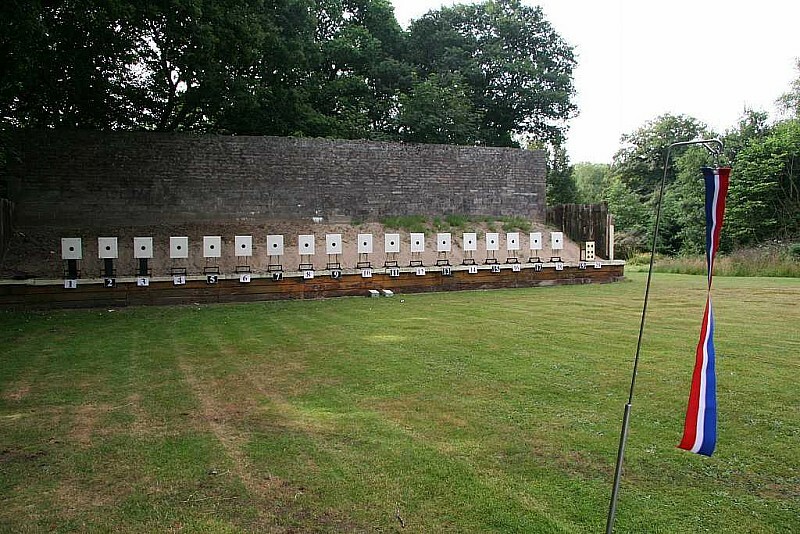 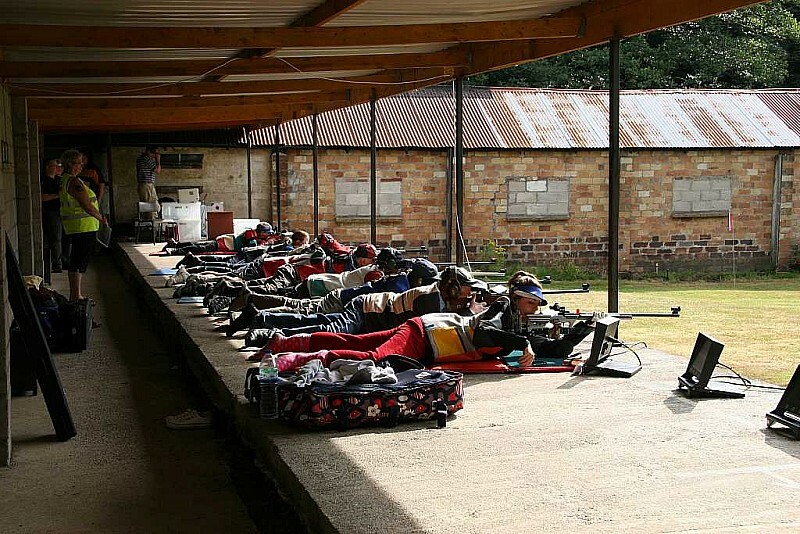 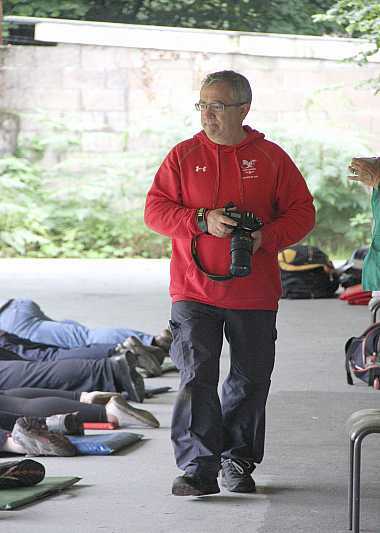 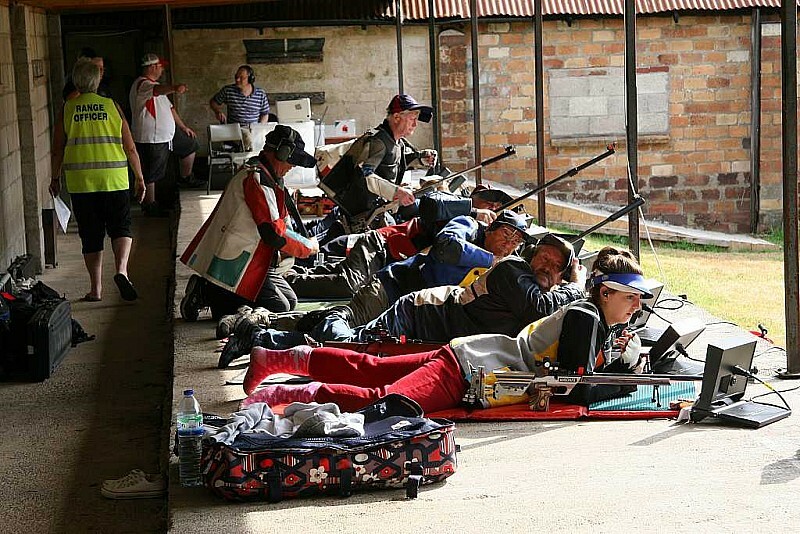 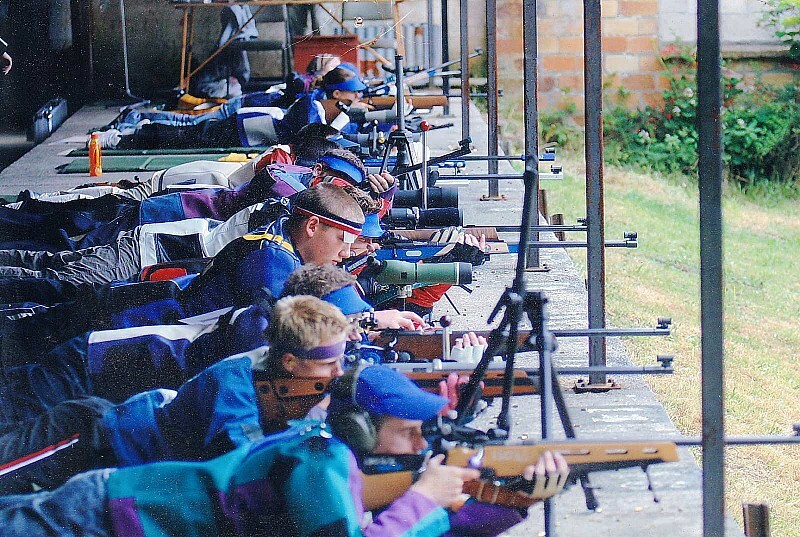 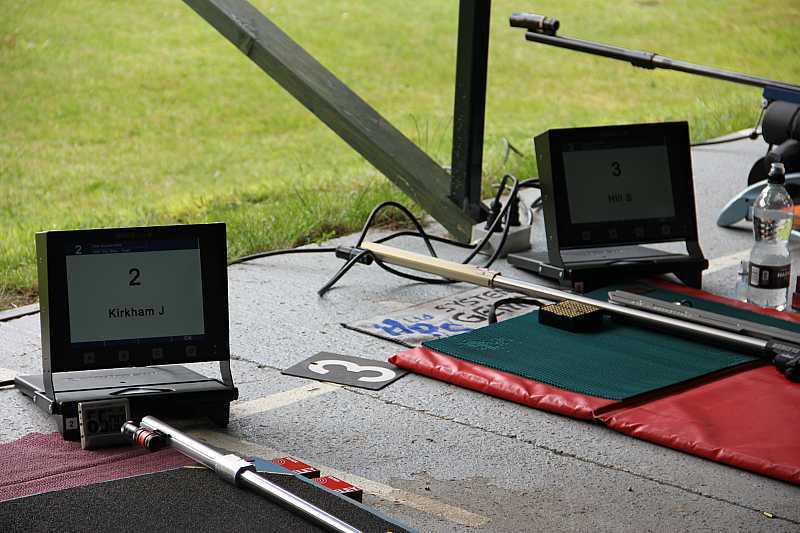 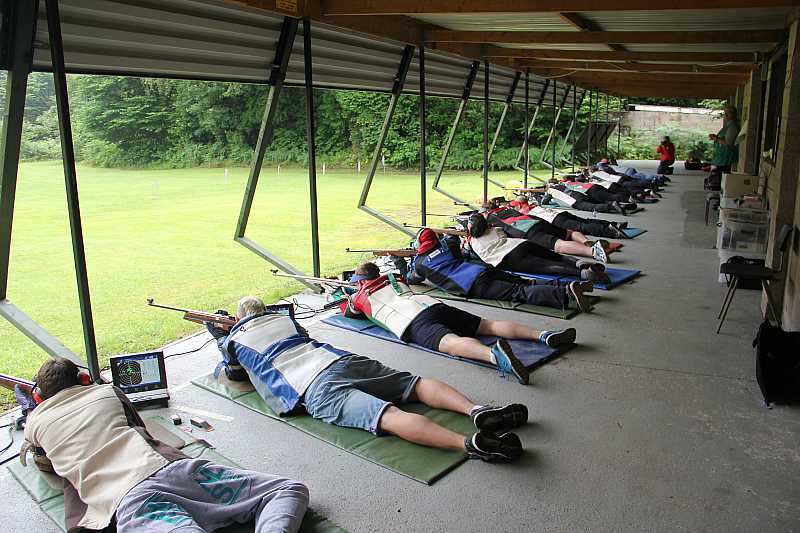 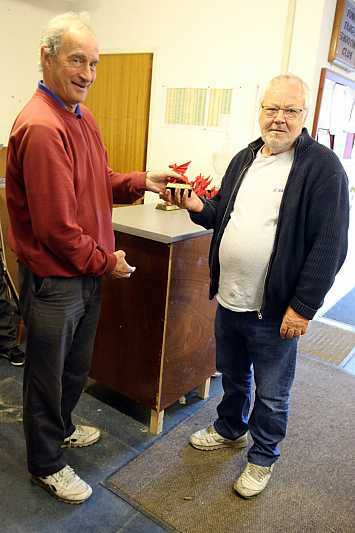 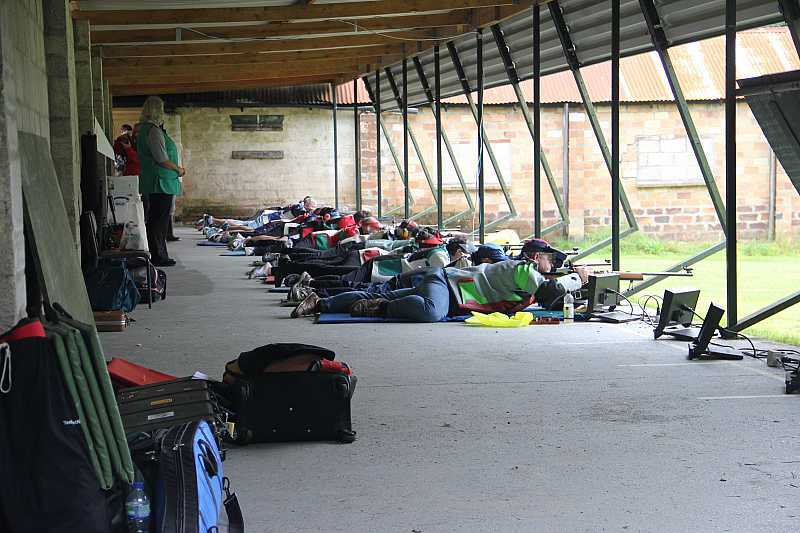 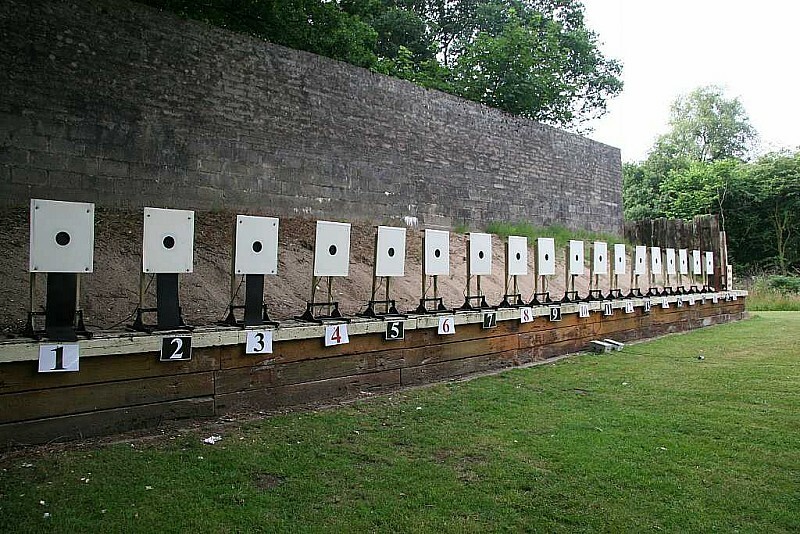 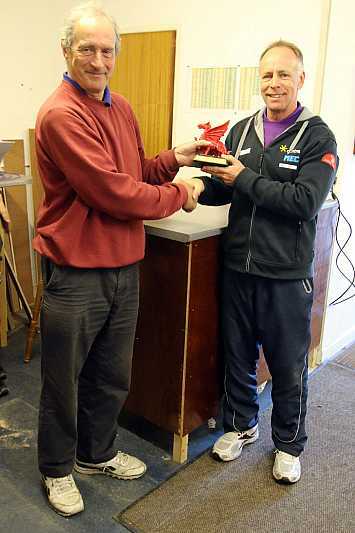 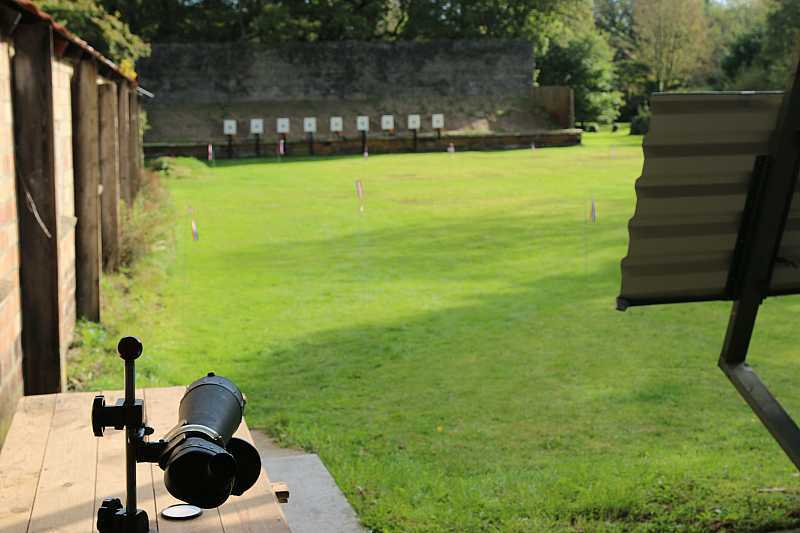 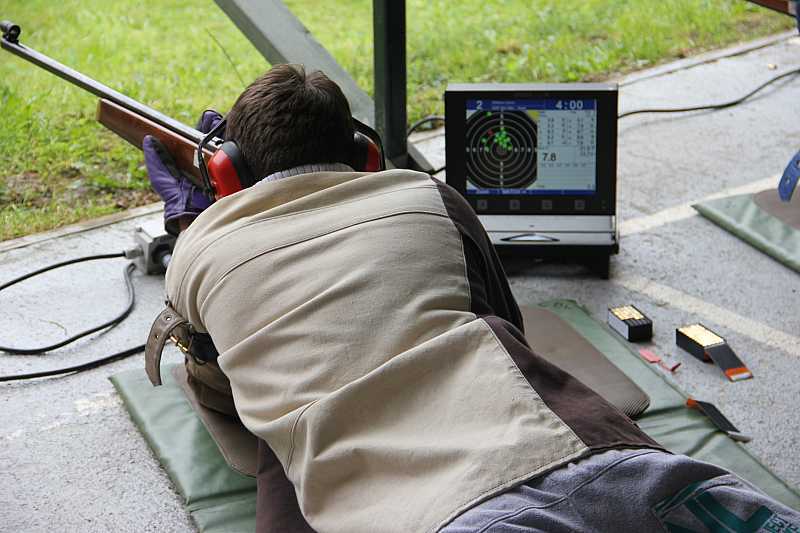 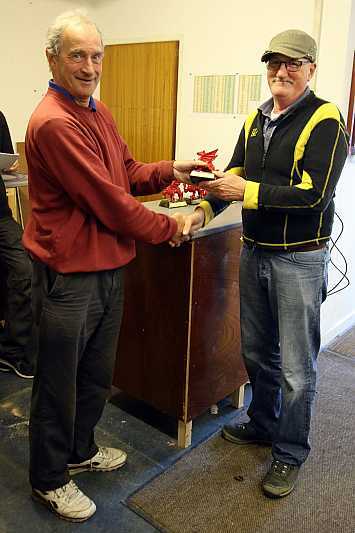 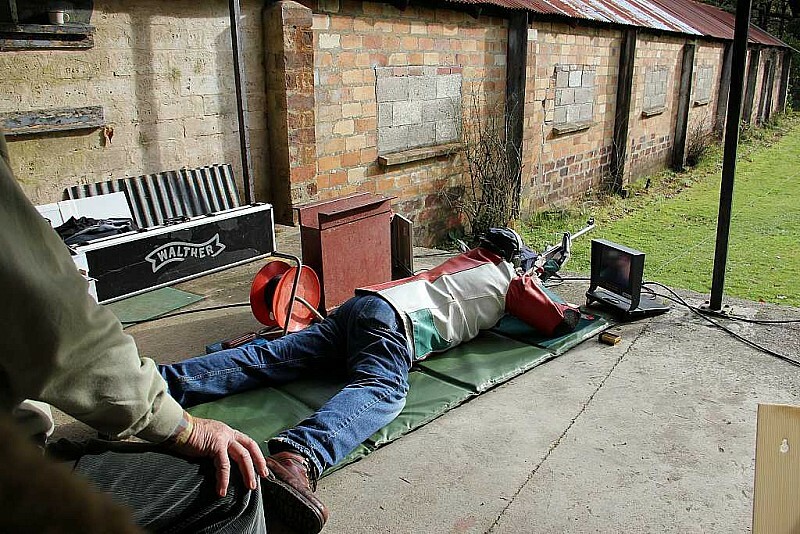 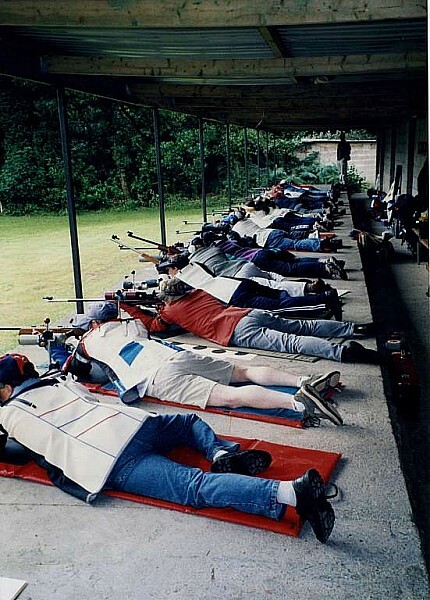 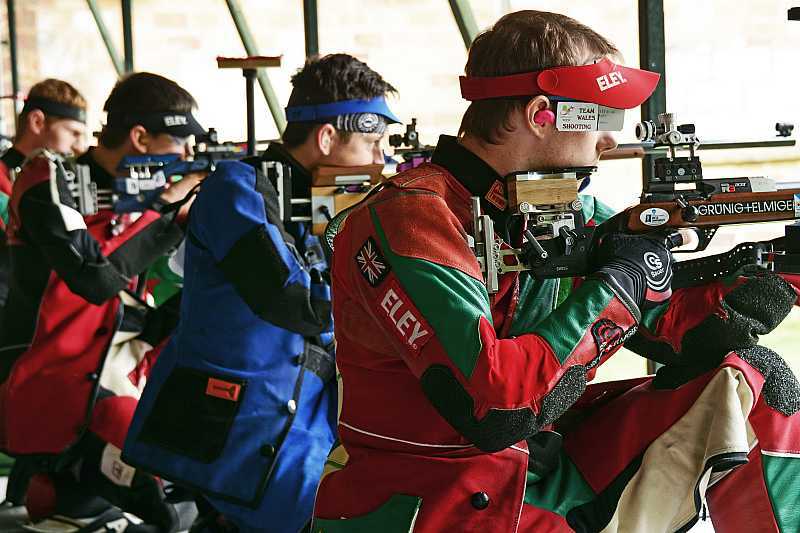 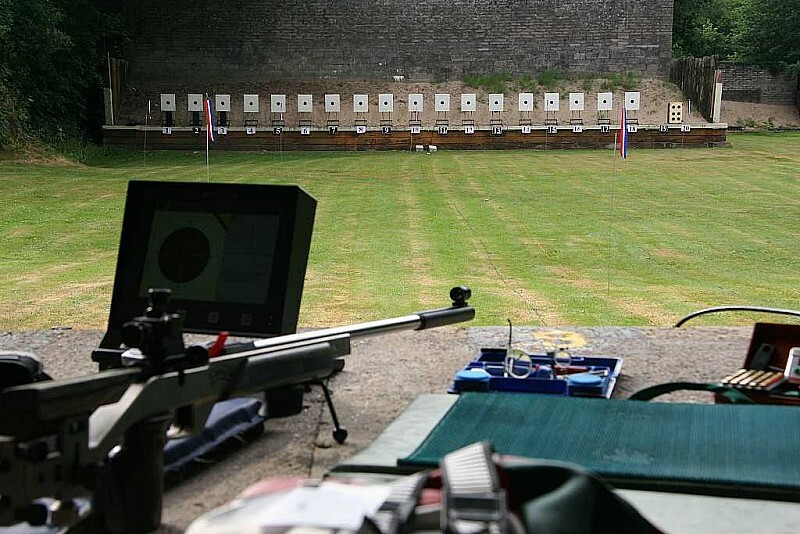 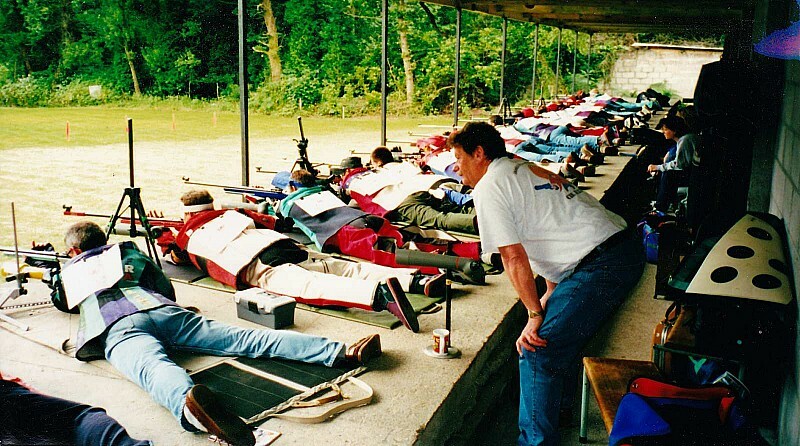 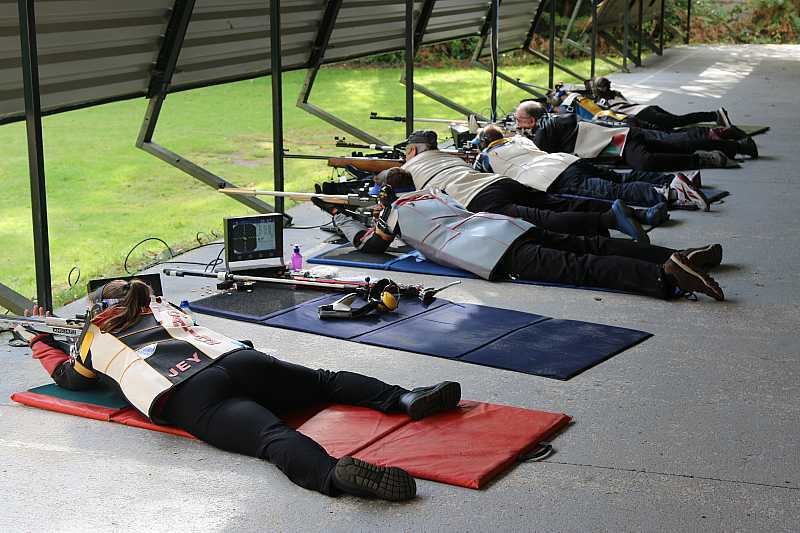 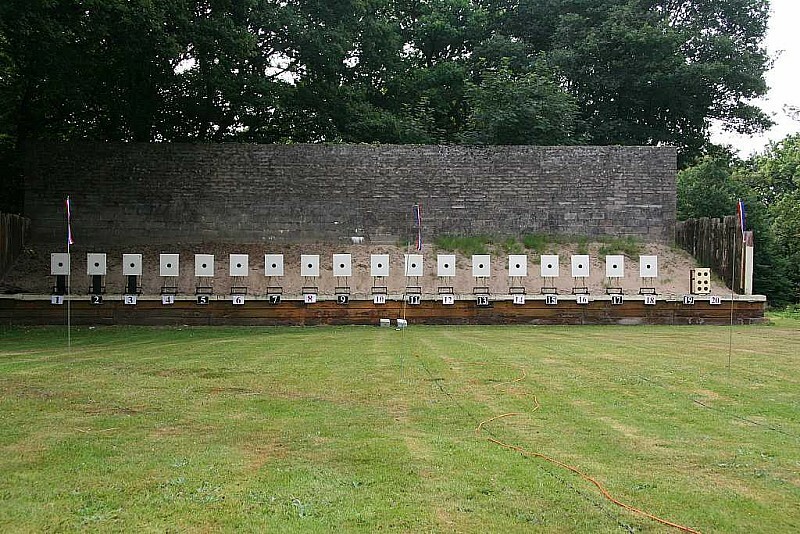 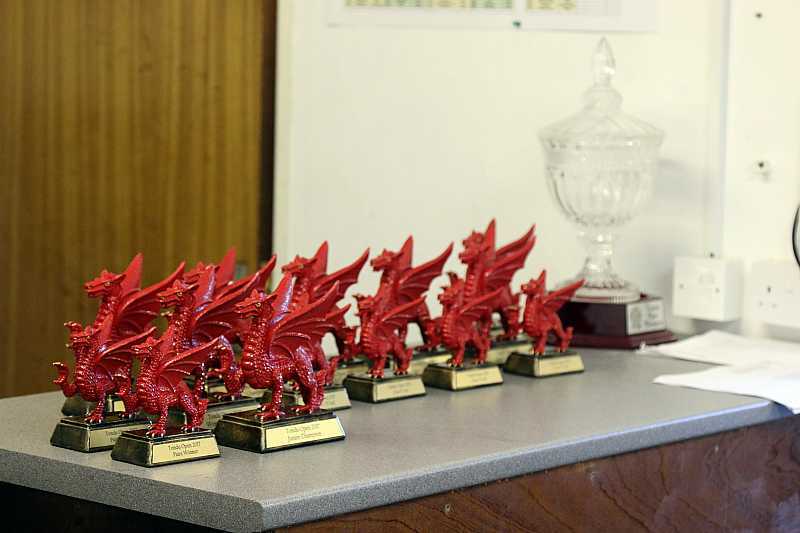 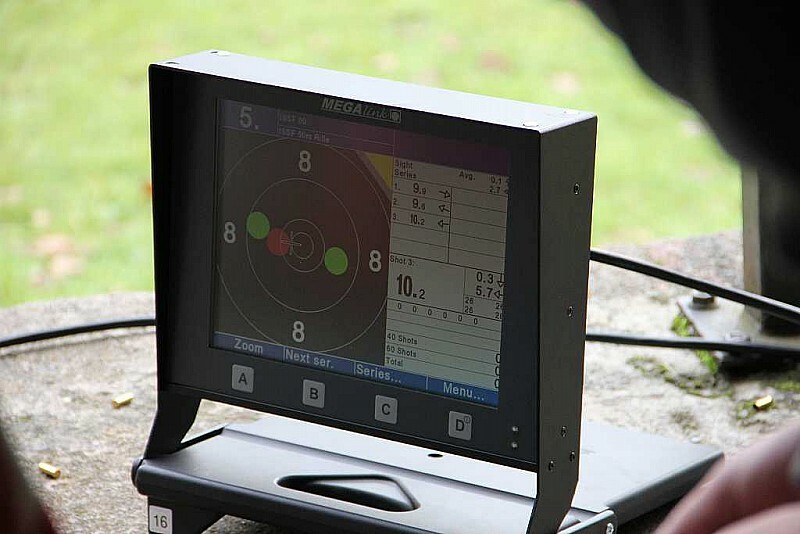 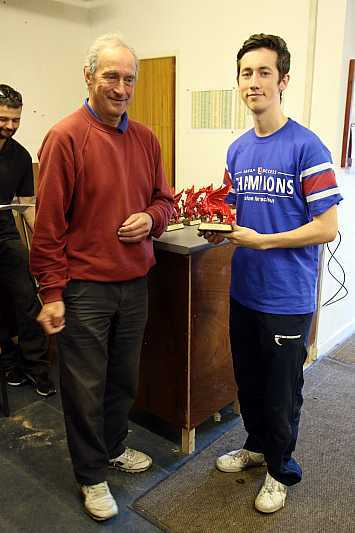 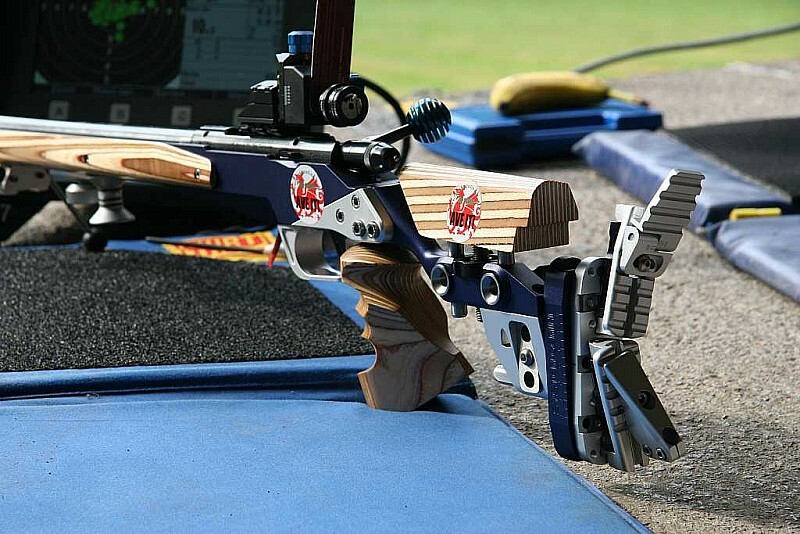 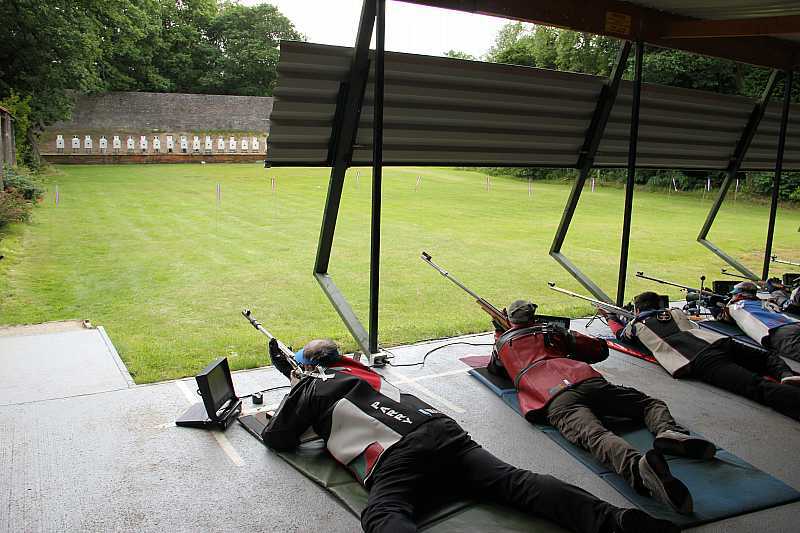 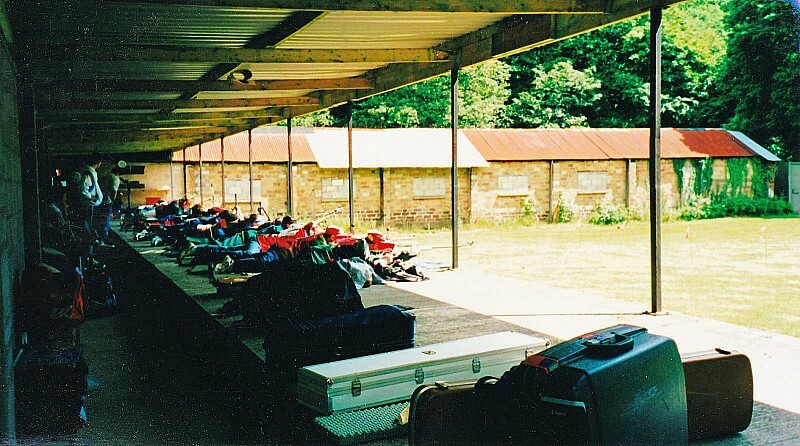 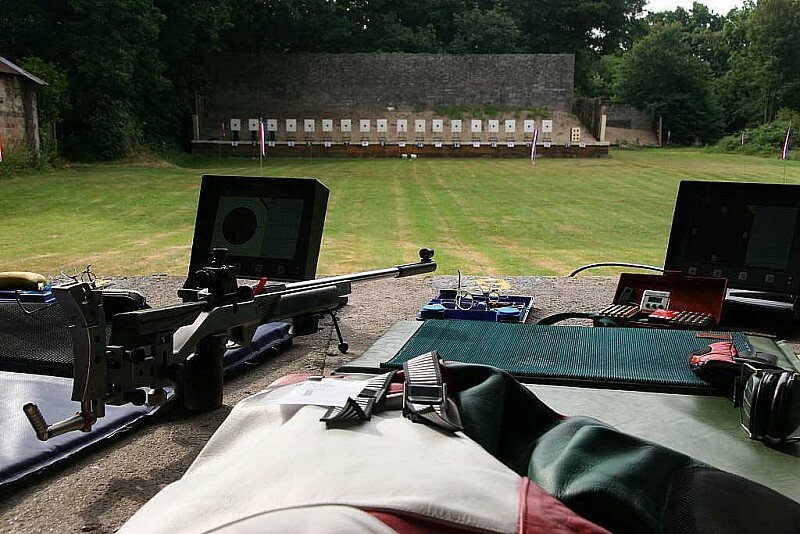 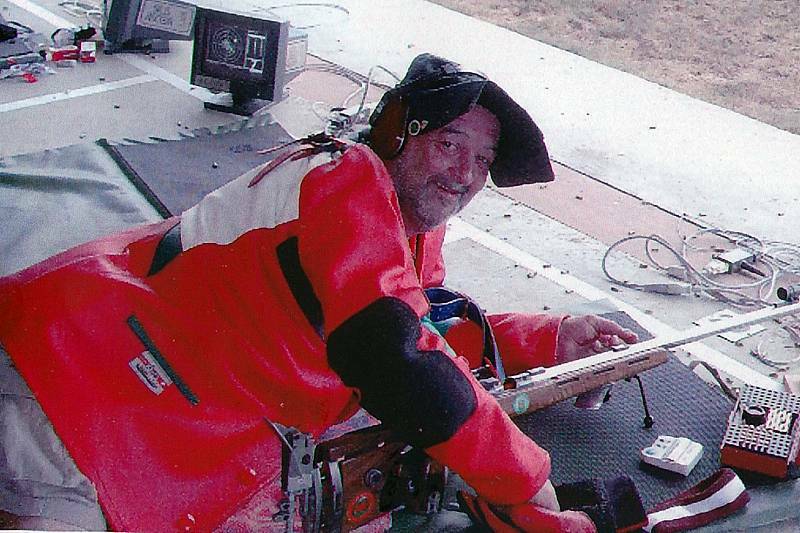 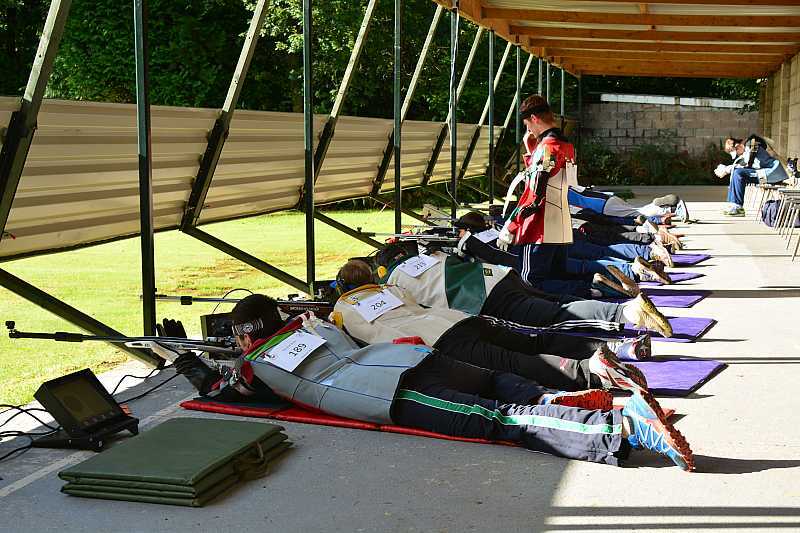 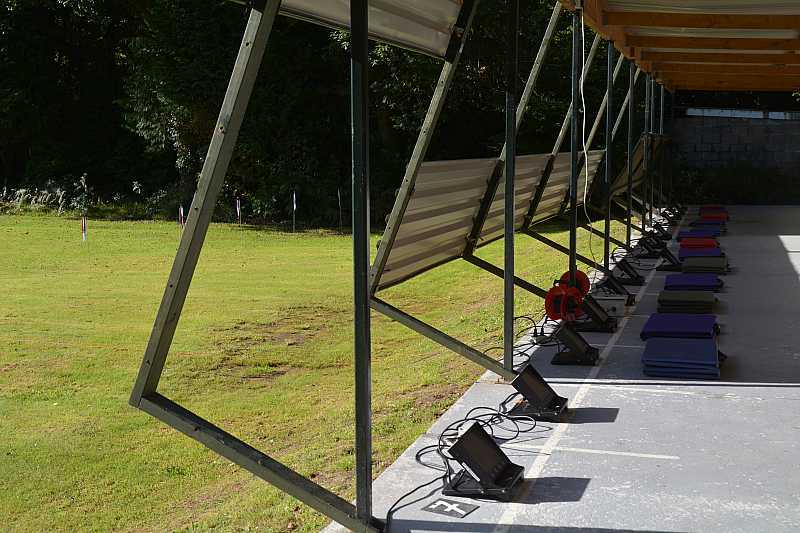 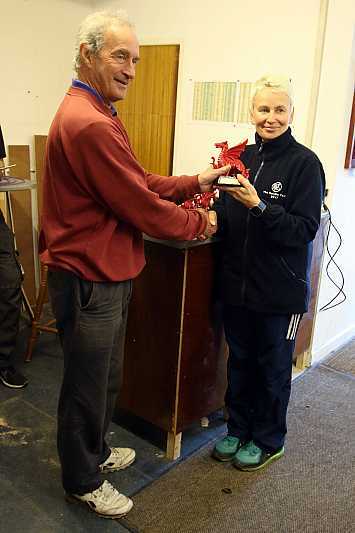 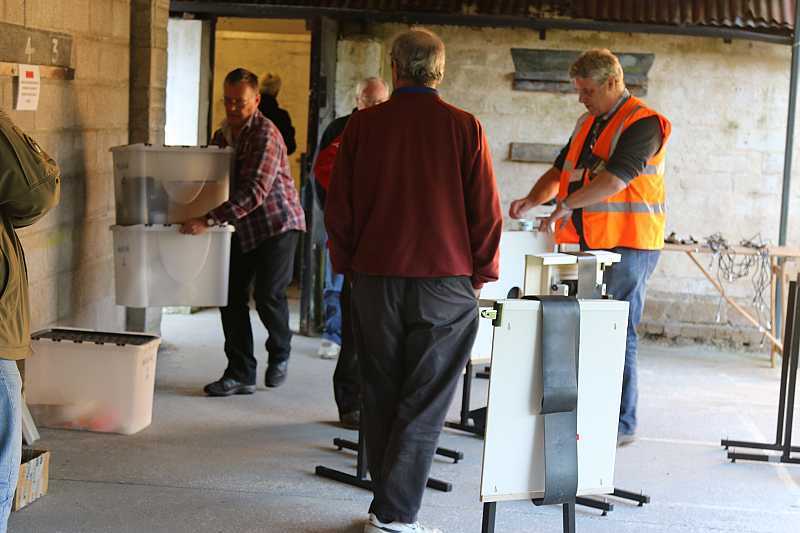 Wales hosted the Commonwealth Shooting Federation Championships and the smallbore Rifle events were held at Tondu. 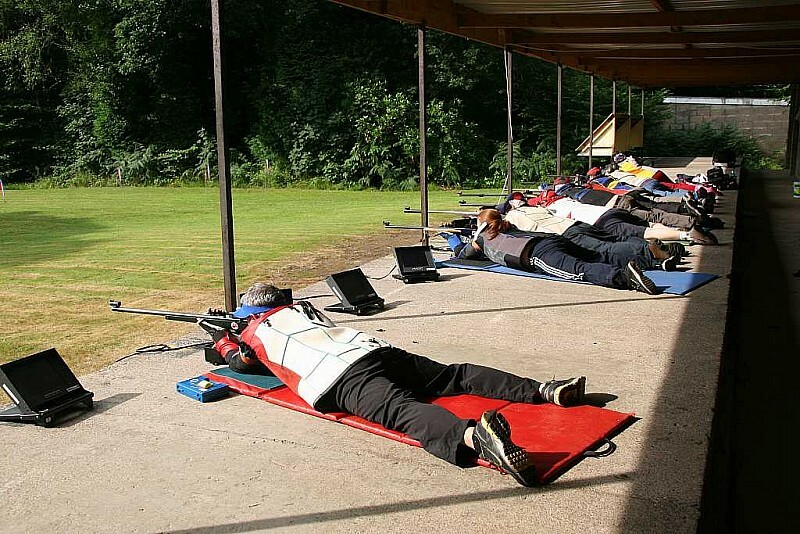 The WSRA 50m Open championships were held earlier in the year. 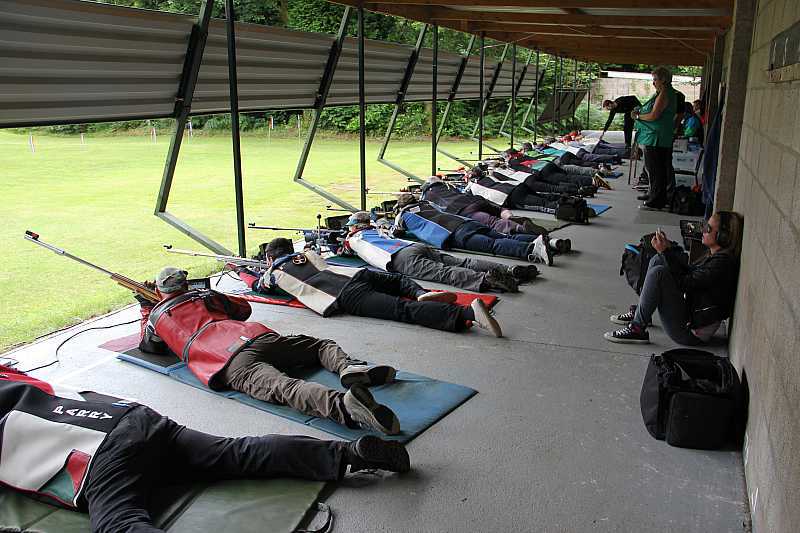 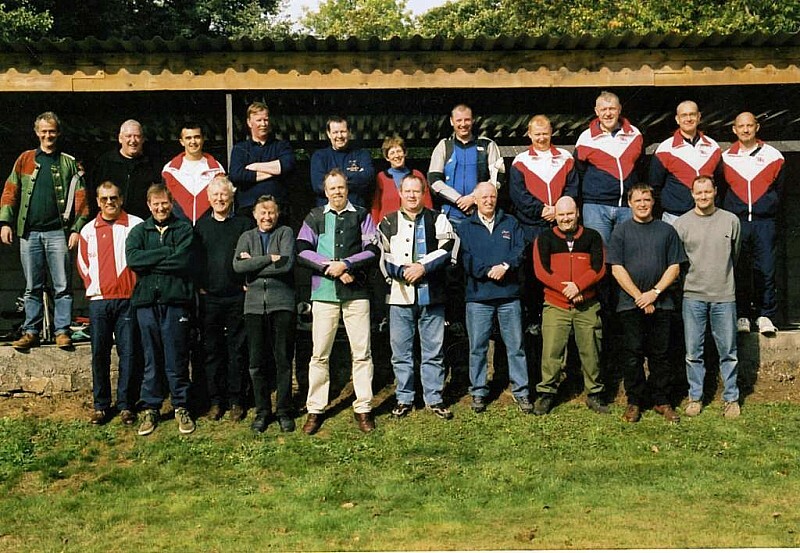 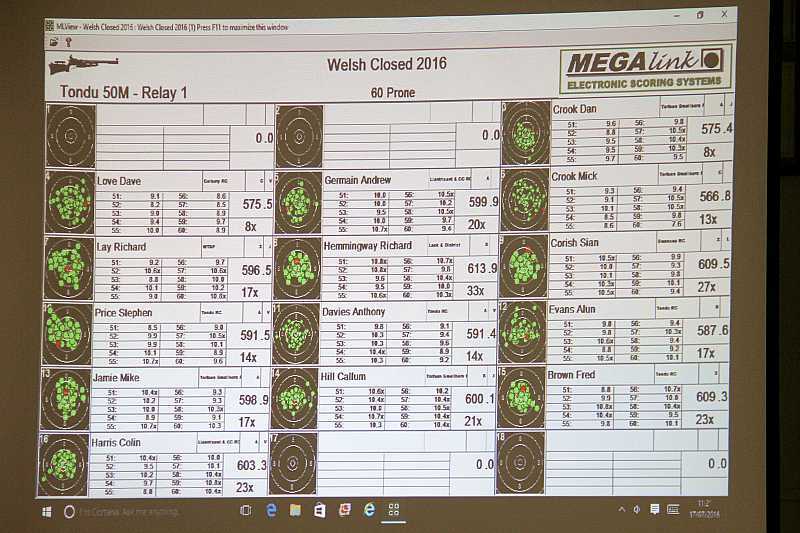 The following photos are from the Closed WSRA 50m Championships shoot on the 17th July. 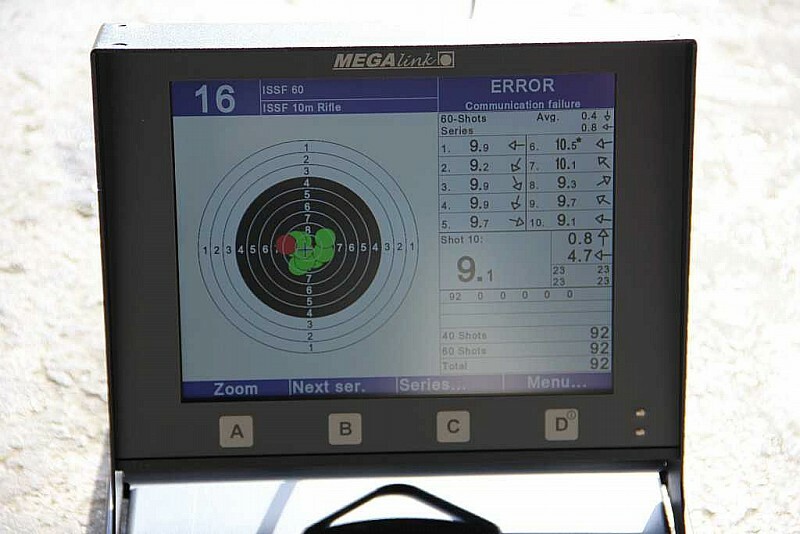 The WSRA 50m Championships, using our five Megalinks and the new adjustable 'sunshades'. 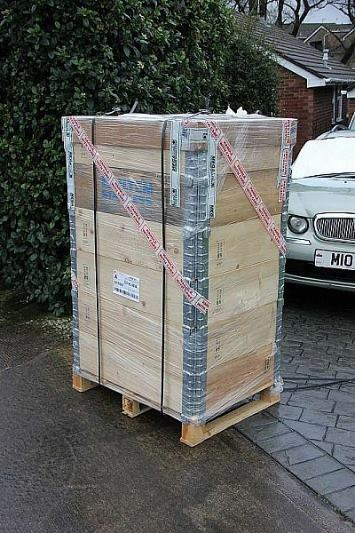 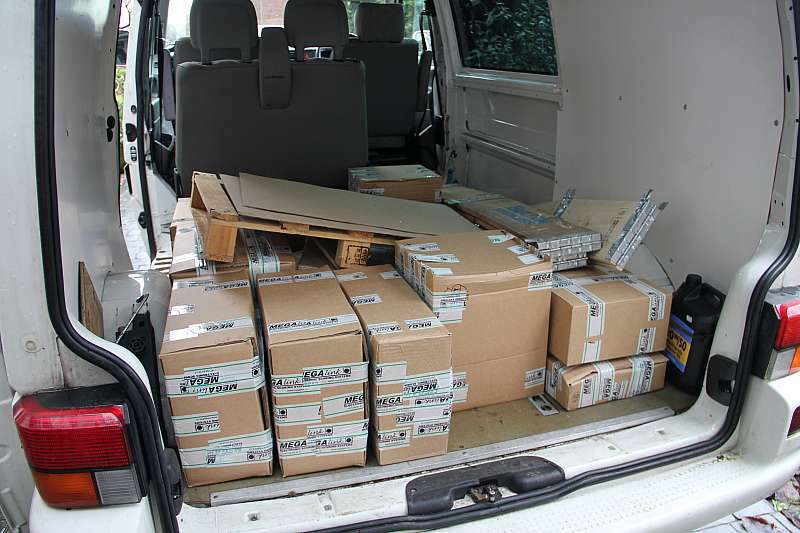 Our five Megalinks have arrived - all we have to do now is figure out how to put them all together. 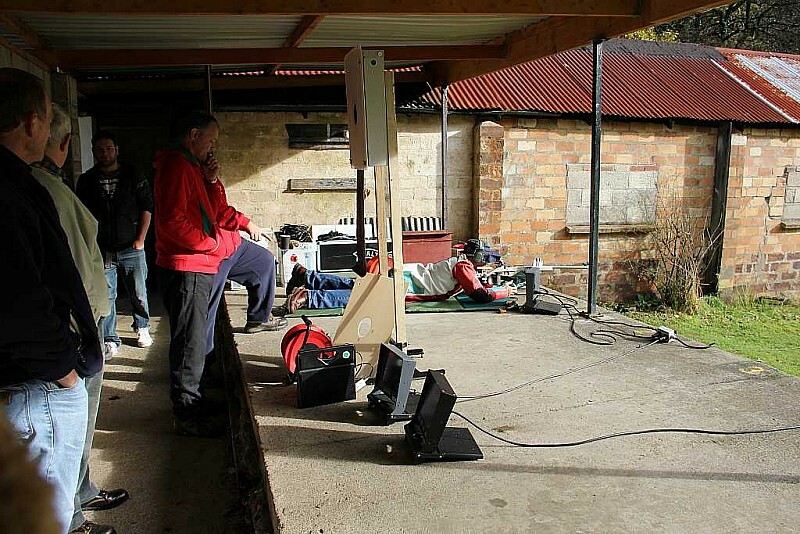 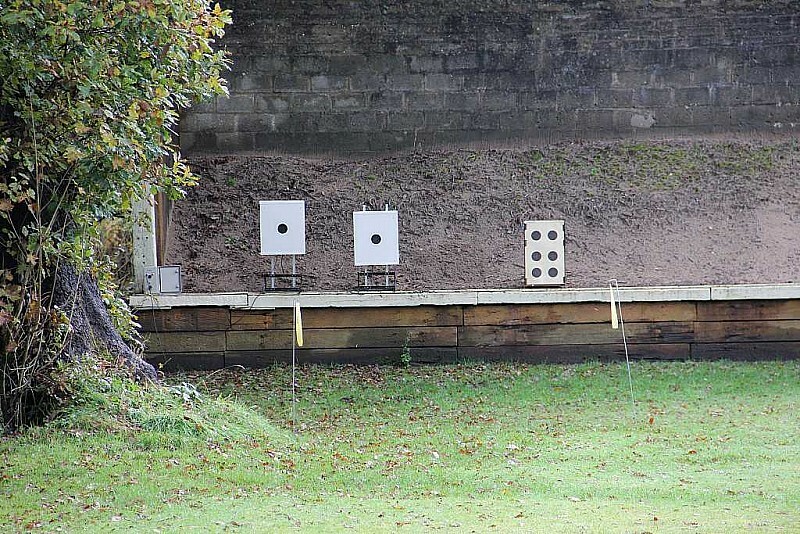 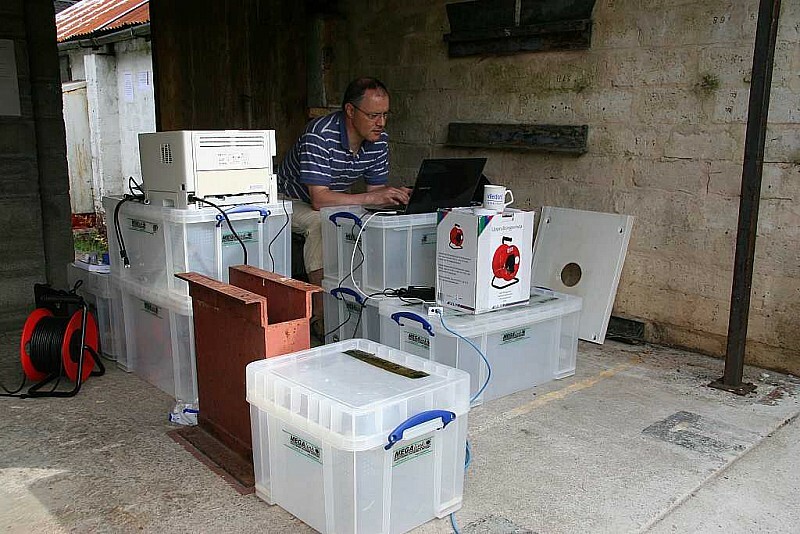 The WSRA brought some Electronic targets for a trial installation on the club's 50m range. 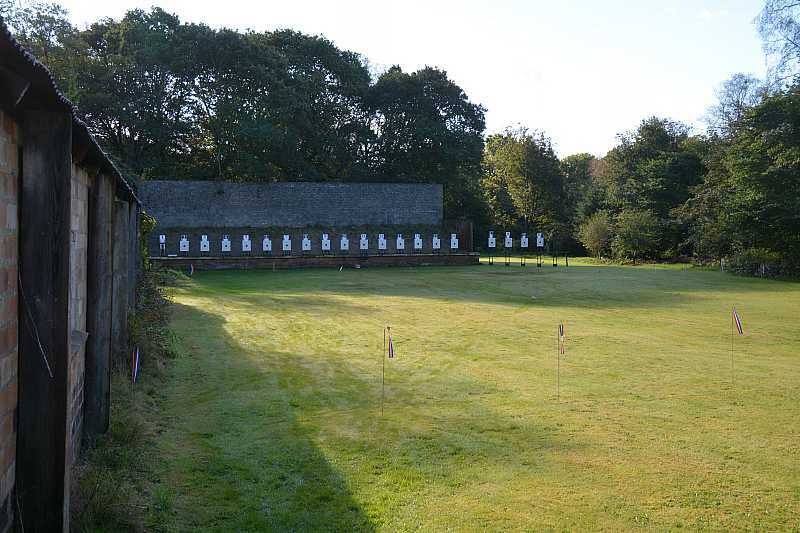 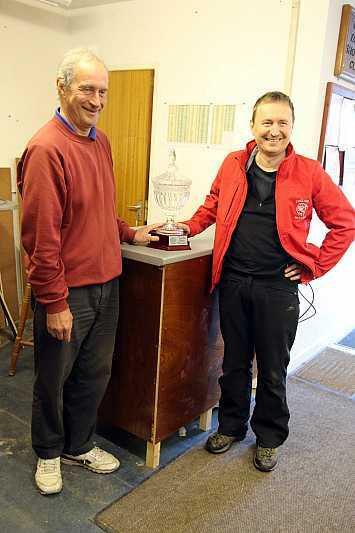 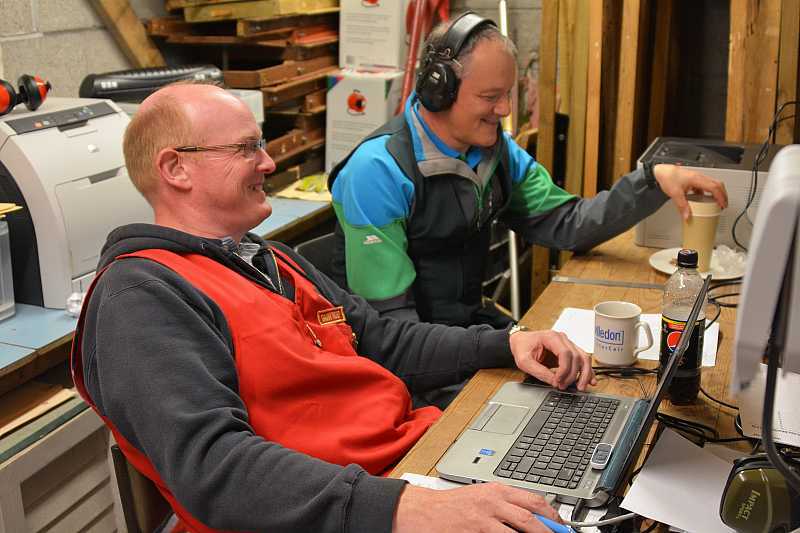 Dave Allsopp and Brian Harney on the Century Range at Bisley, during the National Smallbore Rifle meeting. 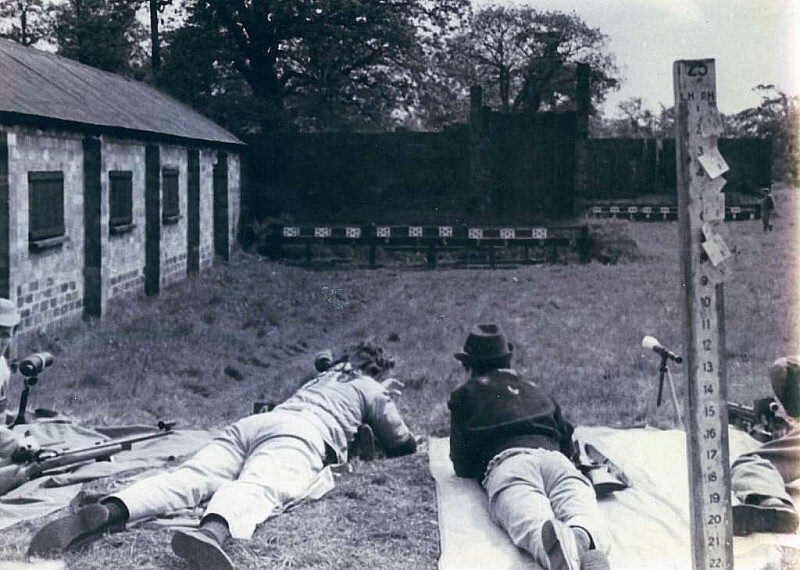 The following five photographs are of historic interest and if anyone can date or identify any of them please get in touch, They are believed to be from the 1950's or early 60's when the club had a grass firing point for the 25 yard, 50 yard and 100 yard ranges. 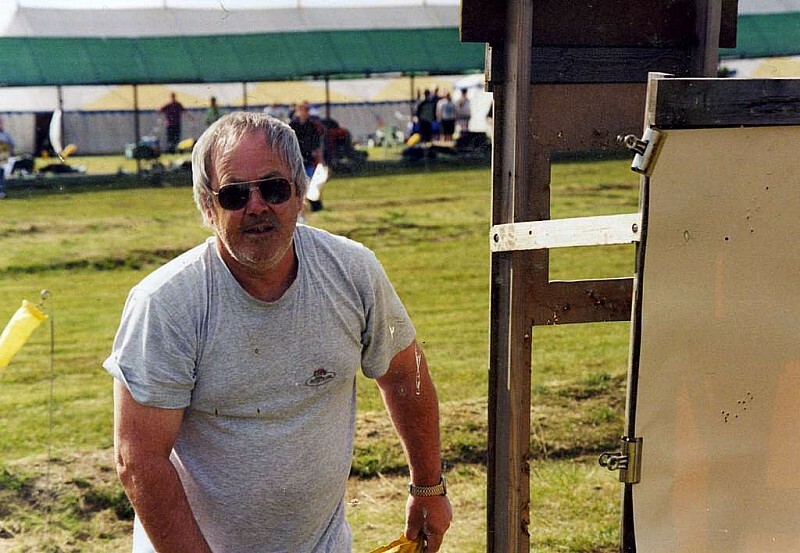 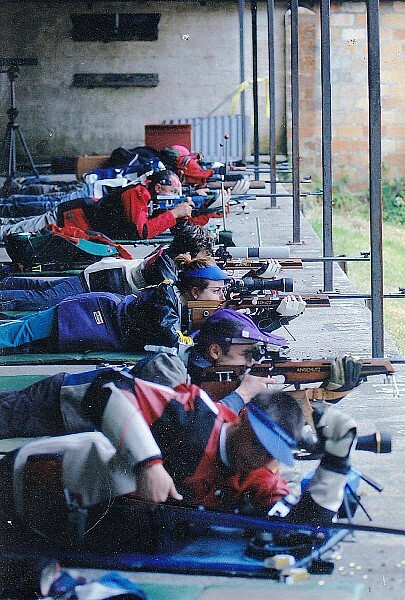 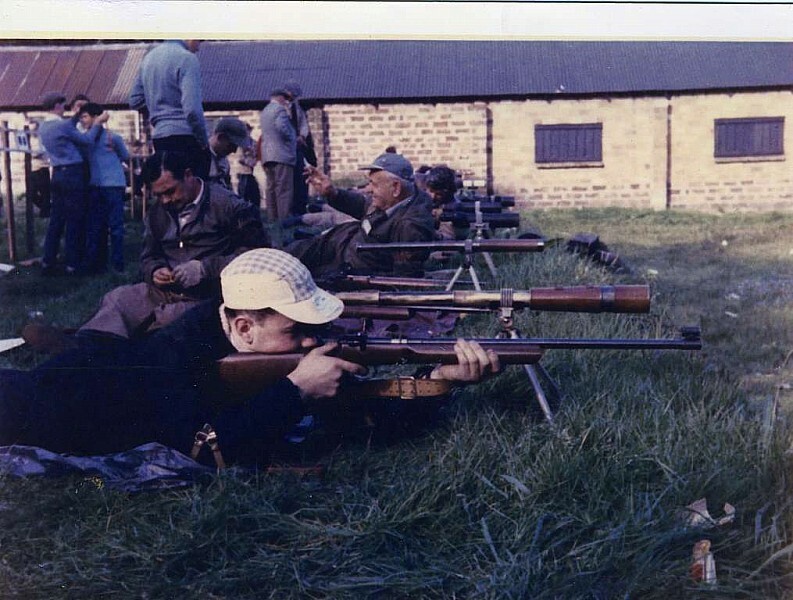 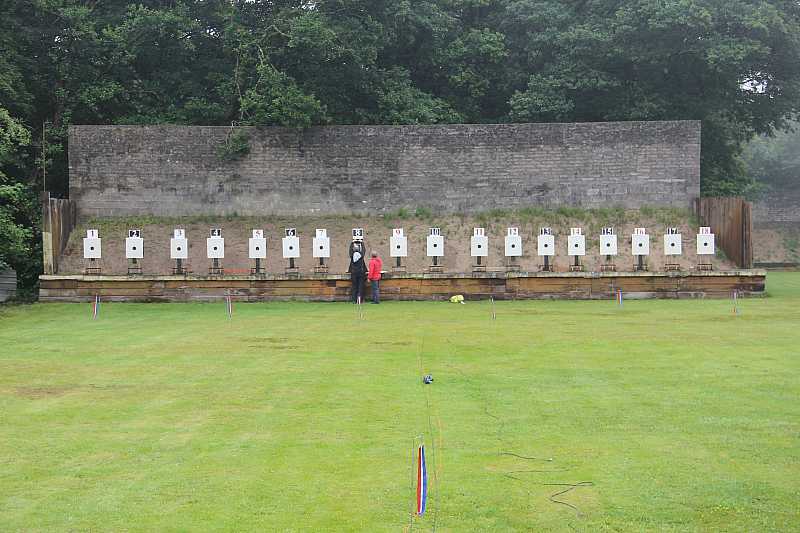 The person in the blue hat looking away from the targets is Major Tom Bowen of Croesgoch Rifle Club (North Pembs). 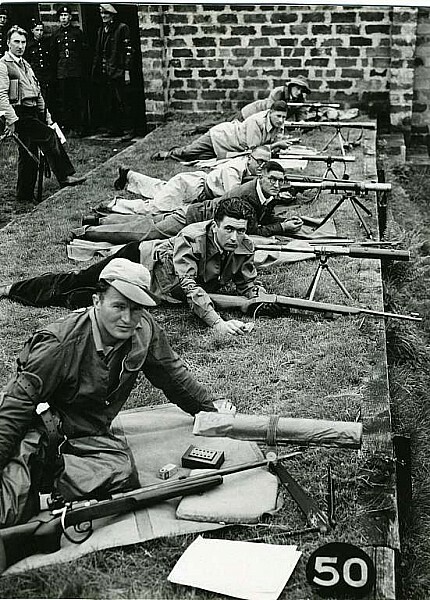 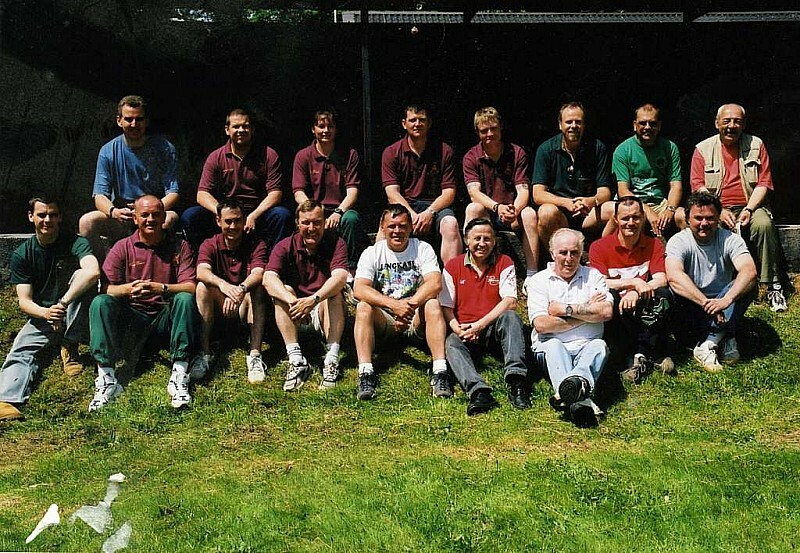 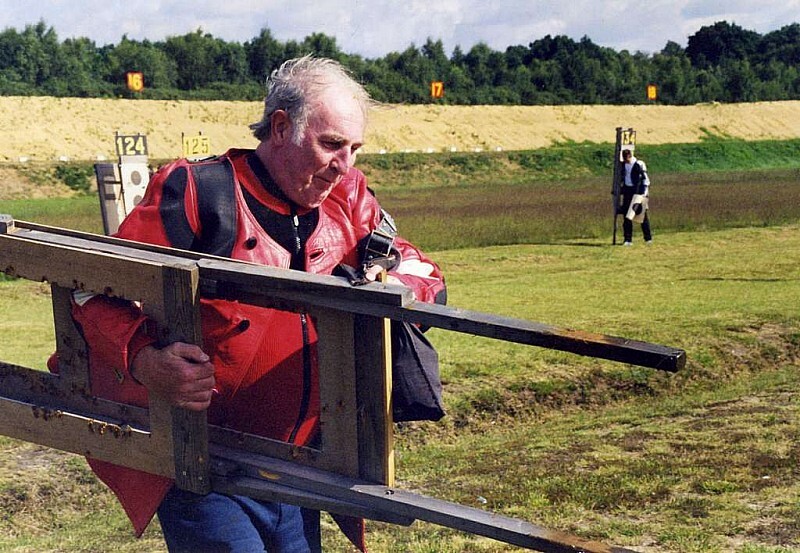 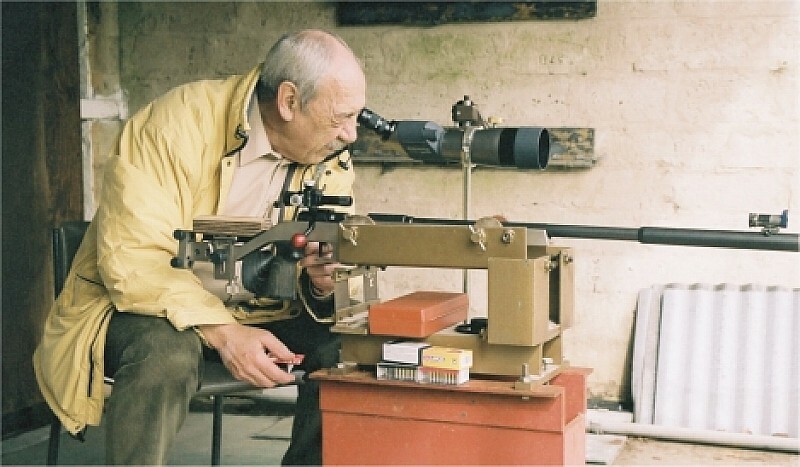 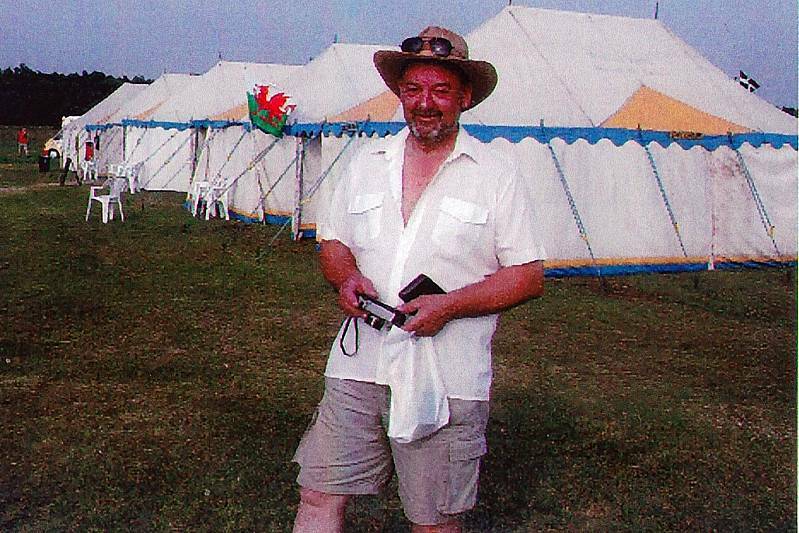 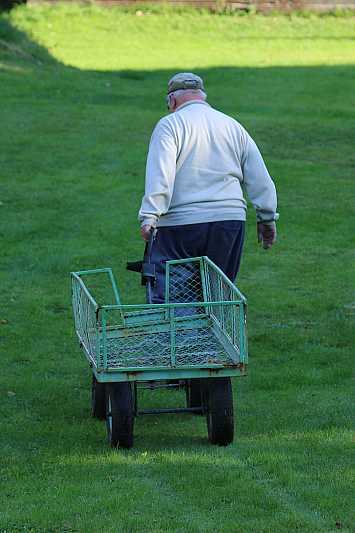 Tom was the captain of the Welsh Team at Bisley during the early 60's. 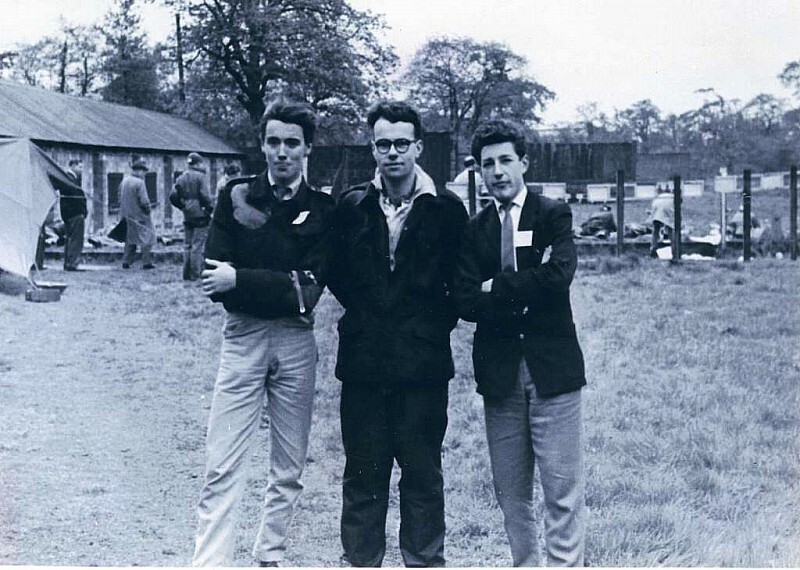 A message from Robert Ponting has identified this picture as being from the early 60's. 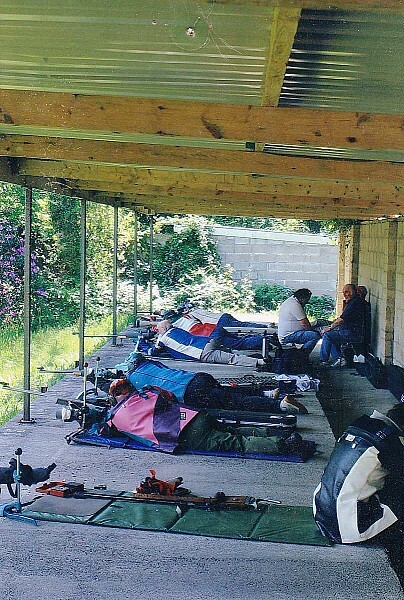 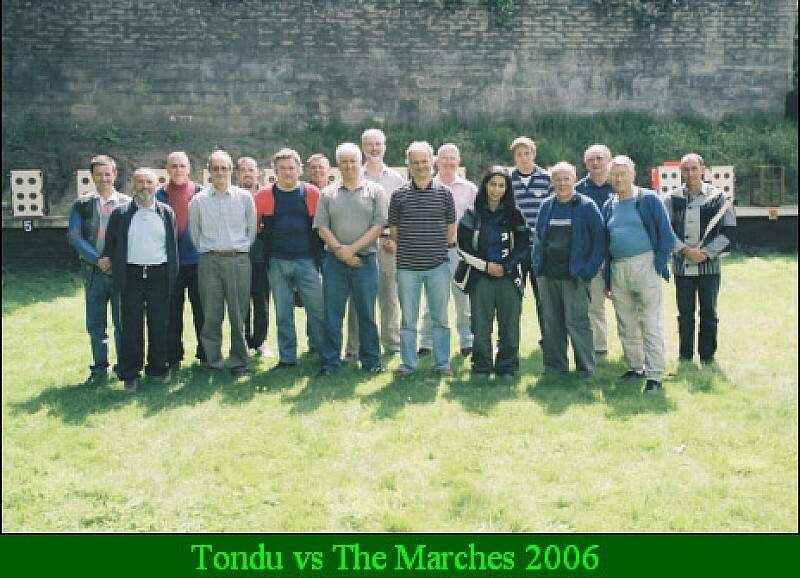 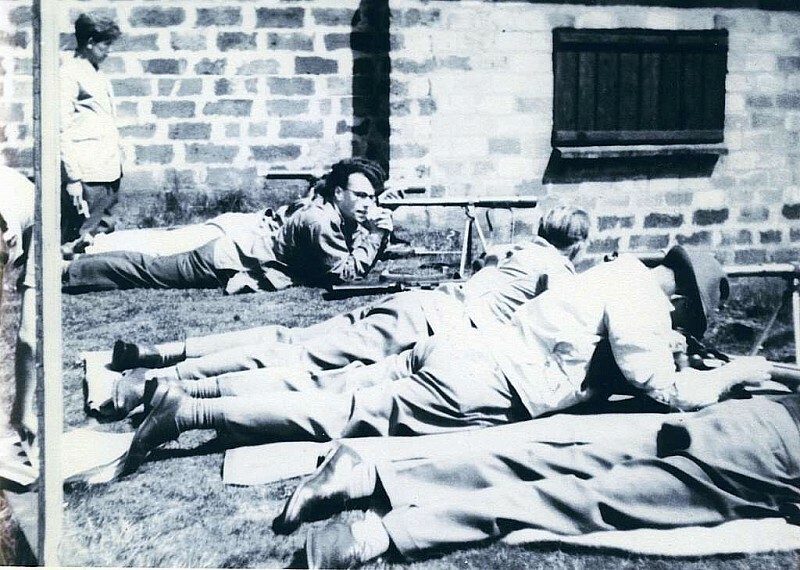 Those in it were members of Cardiff Rifle Club and are L to R, Robert Ponting, Terry Cheney and Donald Crease with the event most probably being one of the twice annual Glamorgan County Shoots that were held at Tondu.